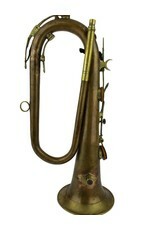 This is a seven-key keyed or "Kent" bugle in Bb. 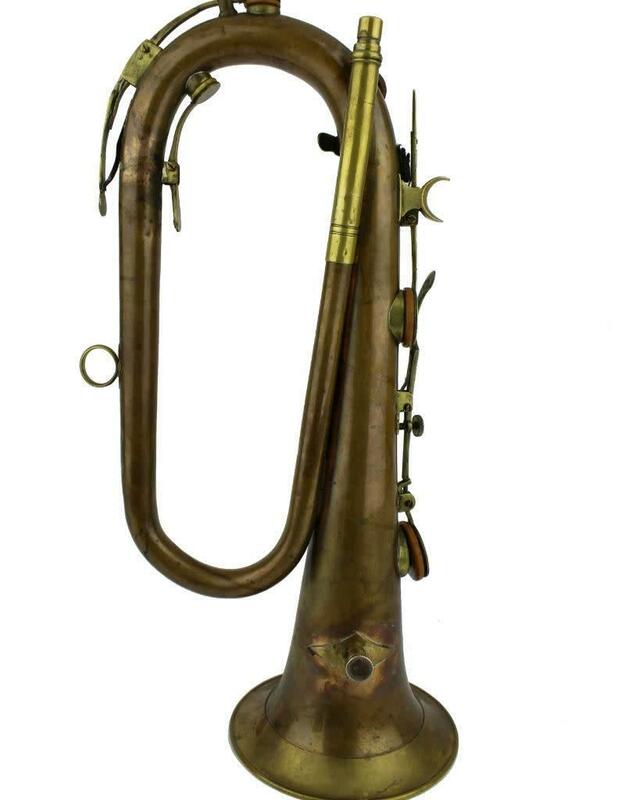 The keyed bugle was invented in 1810 by the Irish bandmaster Halliday and was used extensively until the middle of the century though the United Kingdom, United States, and had some use in mainland Europe, where it was enlarged by the Frenchman Halary to create the ophicleide. 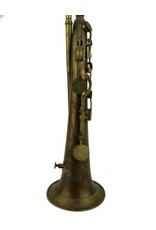 The instrument is in playable but restorable condition. 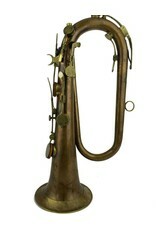 The lyre holder has been moved by a previous owner from its original location and the pads may use replacing. 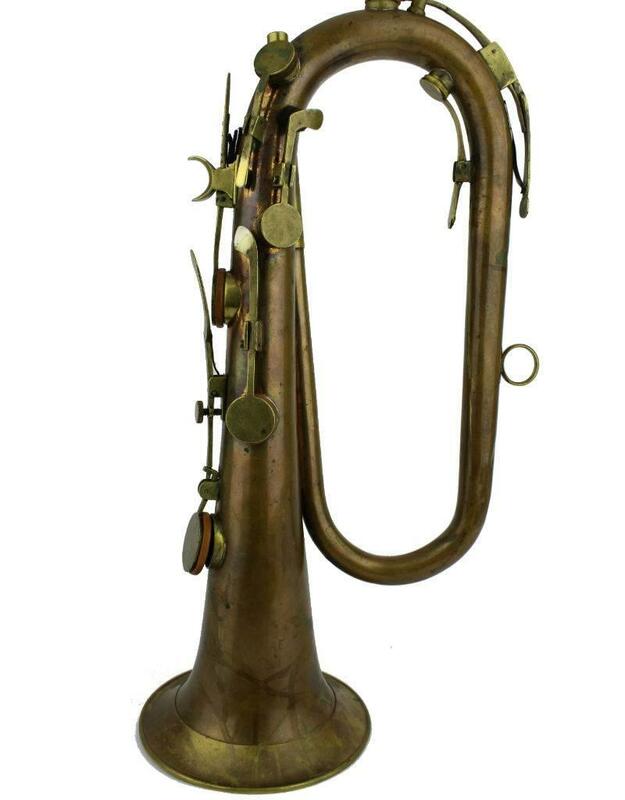 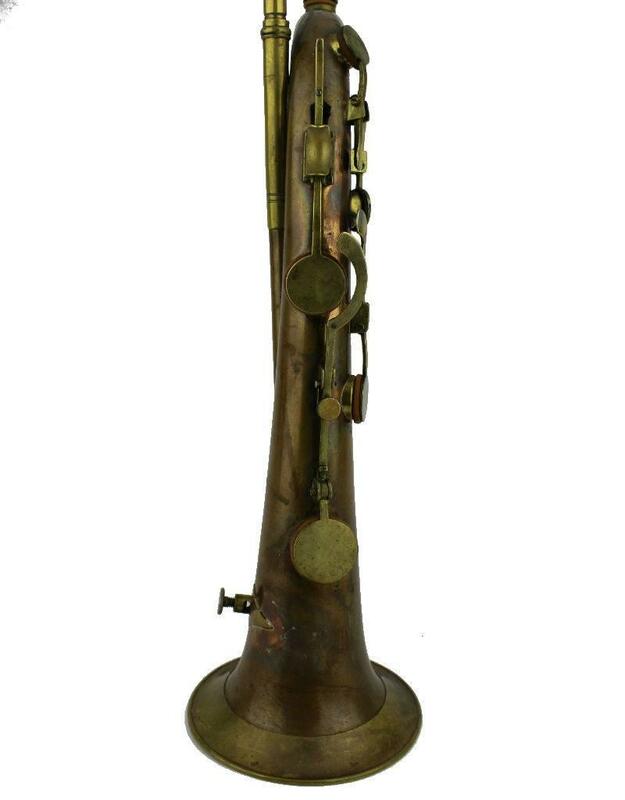 The instrument has developed a stable patina that can be left or polished.